A wiring or cabling panel distributes services to locations throughout the house in a way similar to how the electrical breaker panel controls electricity flow. Conventional wiring found in most homes consists of one or two twisted pairs of wires, and is adequate for basic voice, fax or data communications. 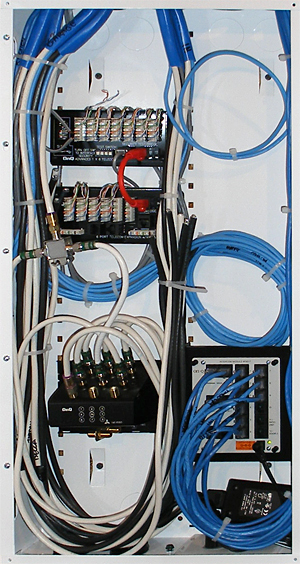 Structured wiring is more advanced and can support a multitude of services for computer networking, internet access, fax, audio and video, HVAC control, security, CCTV, lighting control and more.